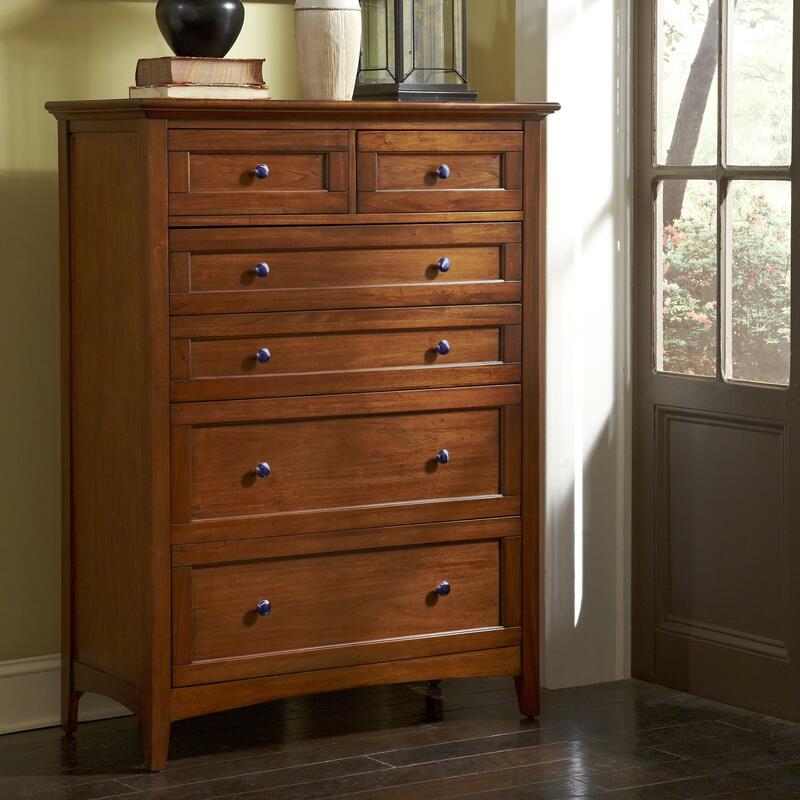 With six multi-sized drawers, this chest makes an excellent supplemental storage area in the master or guest bedroom. 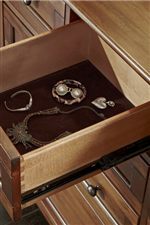 The top drawers are lined with felt for holding delicate and valuable items, while the bottom drawers are larger to store bulky items. 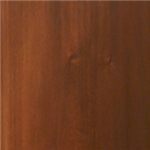 It is constructed from solid mahogany and accented with metal hardware and slightly tapered legs. The Westlake Transitional 6-Drawer Chest with Felt Lined Top Drawers by AAmerica at Zak's Home in the Tri-Cities, Johnson City, Tennessee area. Product availability may vary. Contact us for the most current availability on this product. Case Detail Moulding on headboard and on tops of casegoods. Tapered legs on most pieces. Drawer / Shelf Construction Solid Albasia wood drawer boxes and English dovetail front and back. 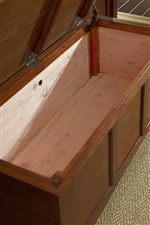 Felt-lined top drawers and cedar lined trunk. Drawer Suspension Three tier metal full extension drawer glides. Case Construction Made of sustainable solid Mahogany. 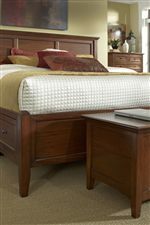 The Westlake collection is a great option if you are looking for Transitional furniture in the Tri-Cities, Johnson City, Tennessee area. Browse other items in the Westlake collection from Zak's Home in the Tri-Cities, Johnson City, Tennessee area.